Every household should have a basic toolkit. Whether you're a hands-on DIYer or whether you simply want to tackle a few home maintenance tasks, you're going to want to build up a decent collection of tools that'll help you get things done. There's no need to get fancy either. What you need, along with your run-of-the-mill screwdrivers, hammers, and wrenches, is a solid cordless hammer drill. A decent cordless hammer drill is guaranteed to become your favorite tool from various odd jobs around your home. These jobs will probably range from incredibly simple to a little more demanding - whatever you think you can handle. All you need to be sure of is that you pay for the quality you deserve. After all, this should be considered a long-term investment. No house is free from maintenance issues. Every couple of months, something's going to need fixing. When that happens, you should be prepared. Why Do You Need a Cordless Hammer Drill? 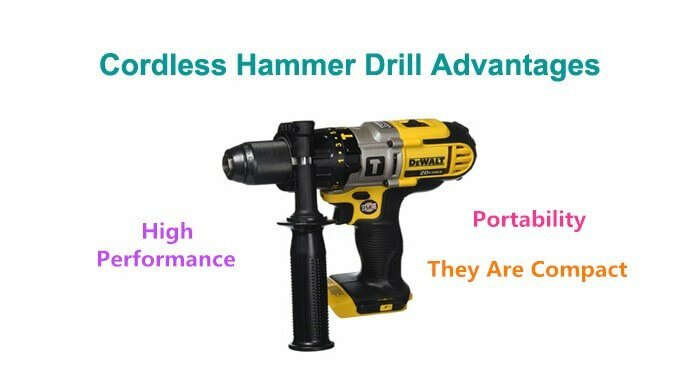 What Are The Types of Cordless Hammer Drill? A cordless hammer drill equipped with a solid masonry bit is best used when you need to drill into brick, mortar, or stone. Additionally, you'll be pleased to know that a hammer drill will function as a normal drill, depending on the setting you choose. It's a nifty 2-in-1 tool you won't regret purchasing. When used in regular mode, this drill can be used for all the normal functions you would expect to use around the home. Whether you're hanging up pictures, assembling furniture, or doing a quick "fixer-upper", this standard drill power is really all you'll need. When set to hammer mode, however, you'll be able to use it for heavier applications. Contractors around the world use hammer drills to attach fixtures to brick or block walls. The professional installation of electrical boxes, for example, would rely on the use of a such a drill. As a DIYer, you'd probably need your cordless hammer drill to install cabinets and shelves on the masonry walls of your home. You may find yourself reaching for your hammer drill more often than you initially thought you would. When used in rotary-only mode, its bulk and strength make it more suitable for jobs that require a certain amount of control. If you need to use larger hole saws, your hammer drill set to "normal" mode will offer a steadier hand. Because it's heavier and sturdier, it'll help you make cleaner holes. On the odd occasion, you might find that your cordless hammer drill isn't enough. In this case, a rotary hammer drill is the better option. For example, if you want to drill large masonry holes or if you're attempting to make your way through a particularly dense slab of concrete, your trusty hammer drill isn't quite going to cut it. A regular hammer drill creates impact by rotating ribbed clutch plates. A rotary hammer, on the other hand, makes use of a piston hammering action. This action delivers some serious punch in terms of power. The only downside, of course, is that while your hammer drill can be used for various applications, a rotary hammer can't be used for anything other than masonry. Based on the type of work you expect you'll be doing, you need to choose wisely. General home maintenance dictates that you opt for a simple cordless hammer drill. Tougher masonry work means you might want to opt for the rotary hammer instead. Another thing you'll want to consider is just how powerful the drill is and what the expected battery life is going to be. If your intent is to drive the occasional screw into a wall, you won't need anything too powerful. If your taste for DIY extends to slightly lengthier, more intense projects, you're going to want something with a little extra “oomph”. 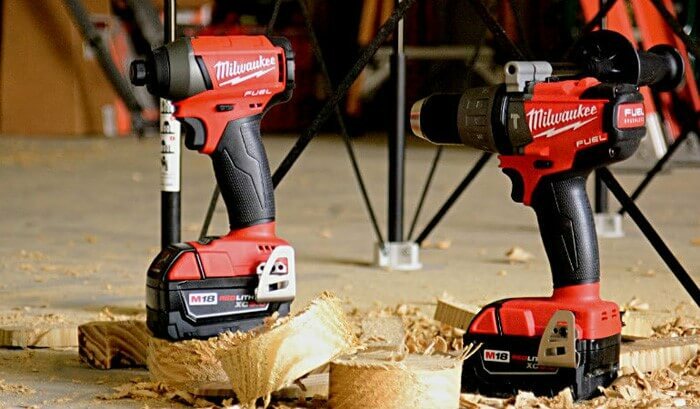 Typical cordless hammer drills will offer power that ranges anywhere from 7.2 volts to 20 volts or higher. 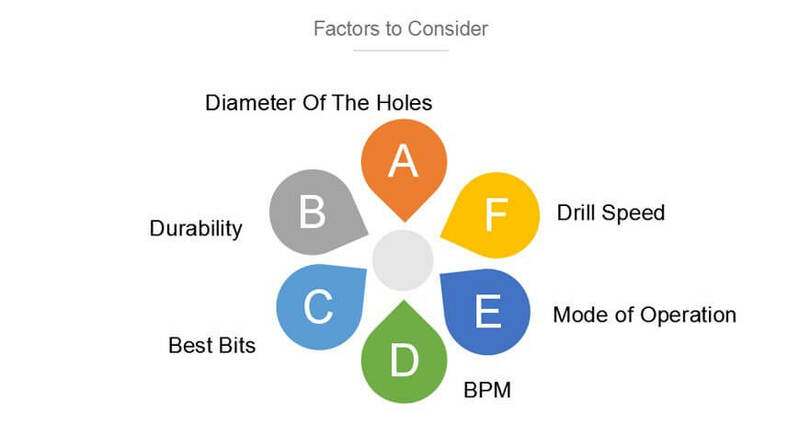 The higher the voltage, the more intense the workload your drill will be able to handle. As far as battery power is concerned; the longer, the better. Nothing is more annoying than being halfway through a job and having to stop to recharge your tools. You'll also want to keep an eye out for the type of battery and charger - don't paint yourself into a corner where the charger is more expensive than the drill itself! You'll also want to take a closer look at chuck size before making your decision. The most common chuck sizes are 3/8" and 1/2"; the larger of which is best for heavy duty work. For general home maintenance, the smaller size should do just fine. All in all, when you're a beginner, choosing the right drill can seem daunting. A few key elements to look out for making the process much easier. Follow these tips and within no time, you'll have your hands on the perfect cordless hammer drill.